All visitors are welcome in the atrium, whether flying, fare-welling or meeting friends and family. There is a selection of retail outlets and free WiFi is available in the terminal and an outdoor flight observation area allows you to see your loved ones take off and land. 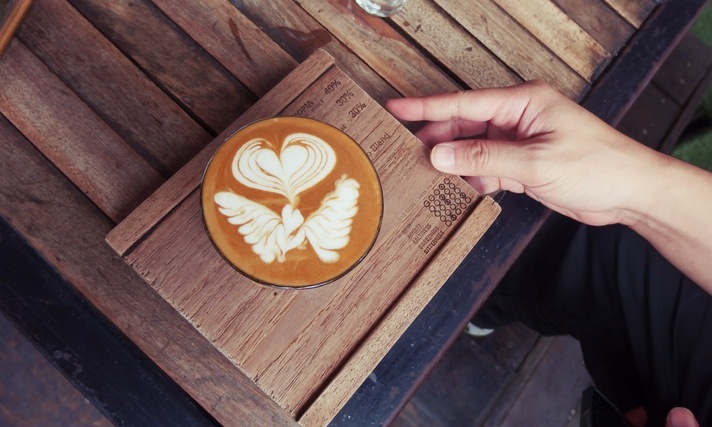 So why not make time fly and start here with shopping, news, coffee, cafes and wine. Located outside the departures lounge offering outdoor seating, Grinders café offers sandwiches, wraps, focaccias, sweets, snacks, cold drinks and award winning Queensland coffee. A great place to meet friends before departing. 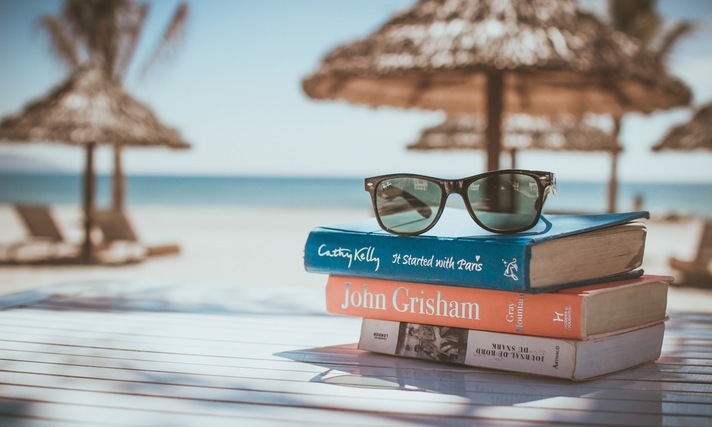 News Travels has all the newspapers, magazines, latest release books, travel guides and snacks for your trip. Sitting within News Travels, ‘Think Sunshine Coast’ includes a wide range of gifts, apparel, souvenirs and locally sourced gourmet foods. The ultimate surfing company, built by surfers, for surfers offers guys and girls swimwear and surfwear, watches, footwear, bags, headphones, eyewear and a huge range of accessories. 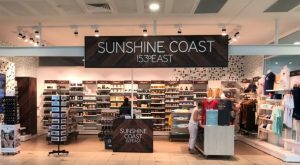 Sunshine Coast 153° East is a new concept shop, stocking a range of home-grown and hand-made gourmet food products, gifts, homewares, and skincare lines from selected local and regional businesses. Sunshine Coast 153° East is named for the longitude line running through the Sunshine Coast and features a curated and refined selection of products from around the region. Explore the shop for a range of local products, and on your next trip take a piece of the Sunshine Coast back home with you! Sumo Salad is the great healthy alternative to fast food, offering a wide range of delicious and nutritious items (salads, wraps, rolls, toasties, breakfast, soups, juice and yoghurt) that will satisfy your appetite but won’t turn you into a Sumo! Swell Café offers hearty breakfasts, sandwiches, focaccias and coffee – with the beans provided exclusively by an award winning Queensland coffee roaster. Located in the departures lounge with a magnificent view of the tarmac you can watch the Airport’s ground activity while enjoying a light pub-style meal, ale or glass of wine while waiting to board your flight.